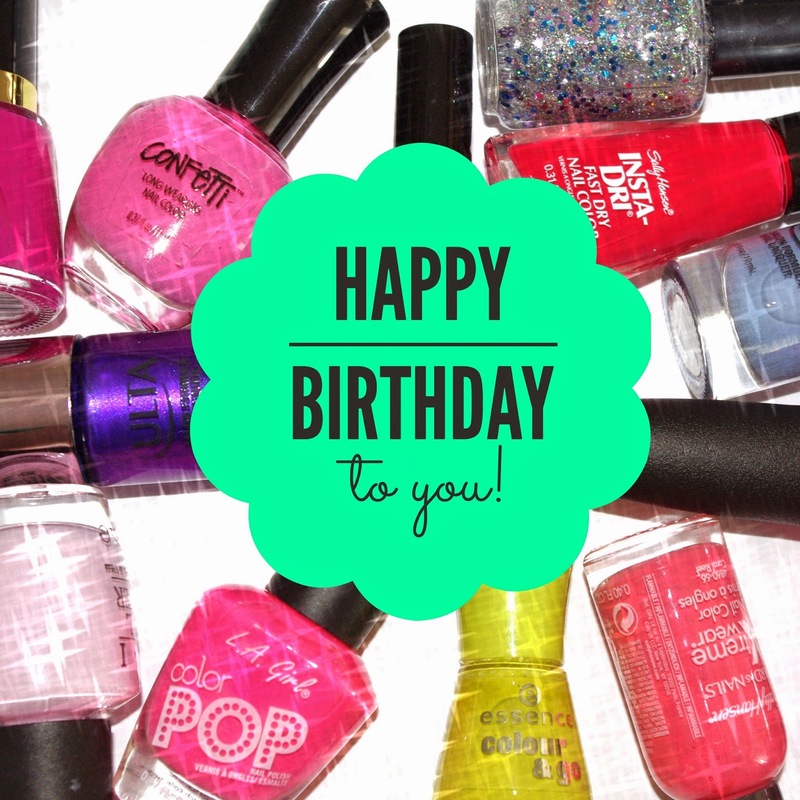 Looking for a Birthday Party Game for Girls? Hypothetically speaking, I'm not against parties with themes. It just so happens that in my nine years of parenting, I've never once pulled off a themed birthday party for my kids. Not once. Not even close. I've baked boxed cakes. I've ordered pizzas. I've supervised as kids have made their own mini-pizzas. I've blown up balloons. I've ushered kids who were hyped up on sugar outside to burn off some energy. I've remembered to assemble the obligatory thanks-for-coming bags that you hand to each guest during parent pick-up. But I have not ever systematically developed a party around a theme. For those of you who love themes, I sense that your inner dialogue already has started. You're thinking that I'm an anti-themite, just like that episode of Seinfeld where Kramer accuses Jerry of being a rabid anti-dentite. If so, I can handle the label, especially because despite my un-thematic tendencies, I recently introduced a party game that my daughter and her fellow nine-year-old friends loved. 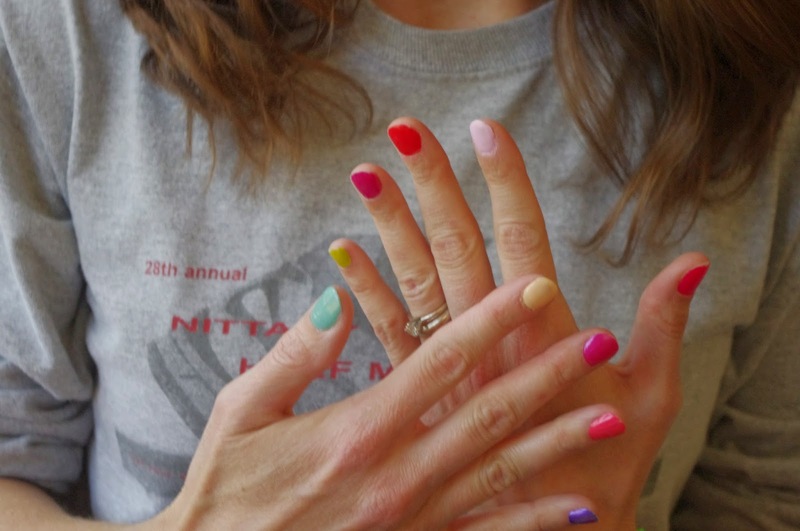 We can call it Revolving Manicures, or perhaps even Spin the (Nail Polish) Bottle. 1) Collect all the nail polishes you own and arrange them in a circle. 2) Use one nail polish (tightly closed) as the spinner. 3) Let each player take a turn spinning the bottle. 4) Paint each subsequent finger with the polish that the spinner points toward. 5) Continue around the circle until all manicures are complete. See? I'm not entirely an anti-themite. My theme is just randomized color. That's adaptable parenting right there -- adhering to a theme so loose it can be applied to anything. 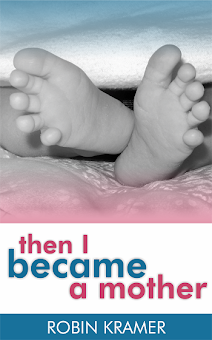 Enjoy humor, hope, and encouragement for moms: Then I Became a Mother. Available in both Kindle and paperback editions! "Adaptable parenting." It's pretty much the philosophy behind how I live my life. And the only reason I have any hair left on my head instead of having ripped it out. I'm all for living in a manner that prevents me from ripping my own hair out, too, so I hear you about adaptable parenting. Oh my goodness! Where do I start?! First off, I have only had one themed birthday party (that was for my second daughter's first birthday). I wanted it to look retro 30's/40's. We even gave her a retro Fisher-Price clock as one of her gifts. I made a Golden Books birthday bunting and served classic finger sandwiches. It was awesome and because of the stress of it, will never be repeated. I like to do a casual, anything goes kind of gig. So, that being said, I don't do much of the themed stuff either. Secondly, I LOVE the party game! You are the coolest mom ever, ever, ever! So much fun. 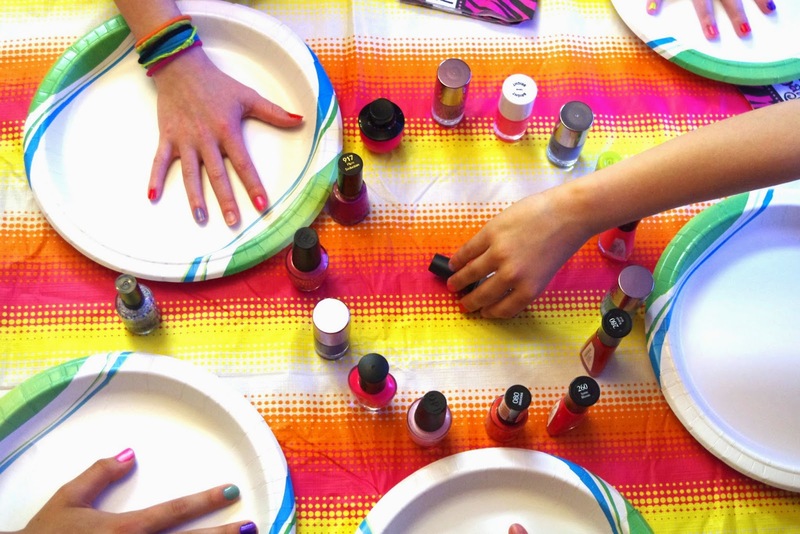 Glad that you liked the nail polish party game! Wow what a great idea. I think most girls would love this! I love this! What a great idea. I'm sure my girls will love it when they're a bit older (actually, I think they'd love it now).